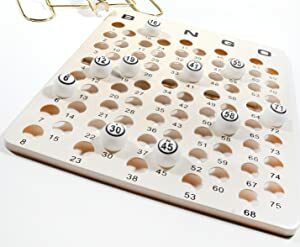 This Professional Bingo Set (Ping Pong Style Balls) includes a brass bingo cage with a wood handle. The cage features a 10” drum and sits 16” high with an improved latch and heavy cup for more consistent operation than competitor cages. The masterboard measures 20.5” by 16.5”. 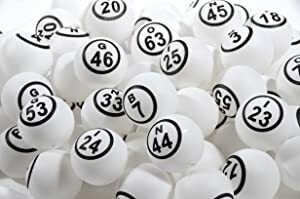 The set includes 75 professional white 40mm ping pong bingo balls. 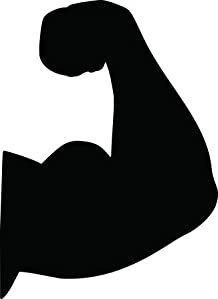 Note: Large size not suited to extra balls. For up to 250 ping pong ball capacity, check out our Jumbo Professional Cage. Don’t be caught with one of those puny little bingo cages. 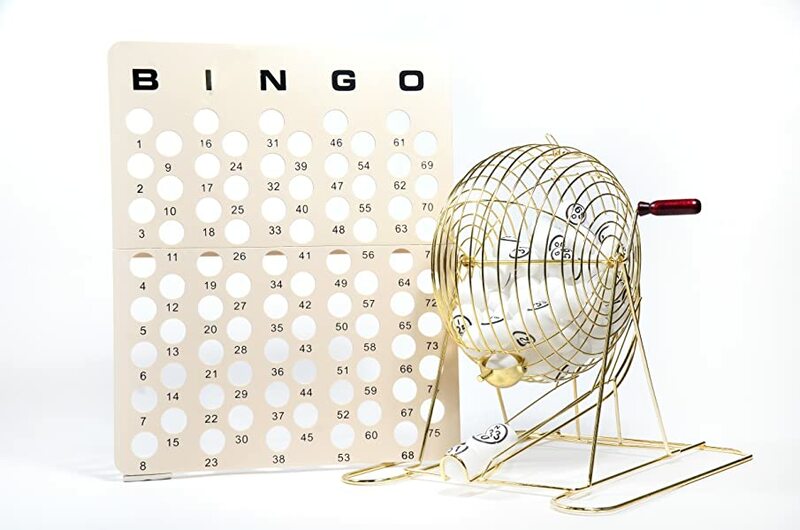 Wow your friends, relatives, co-workers, neighbors, and fellow BINGO aficionados with this large professional sized cage in a rich brass finish.